Nomination in Art of Packaging 2013, Freestyle category! Feuille [fr. 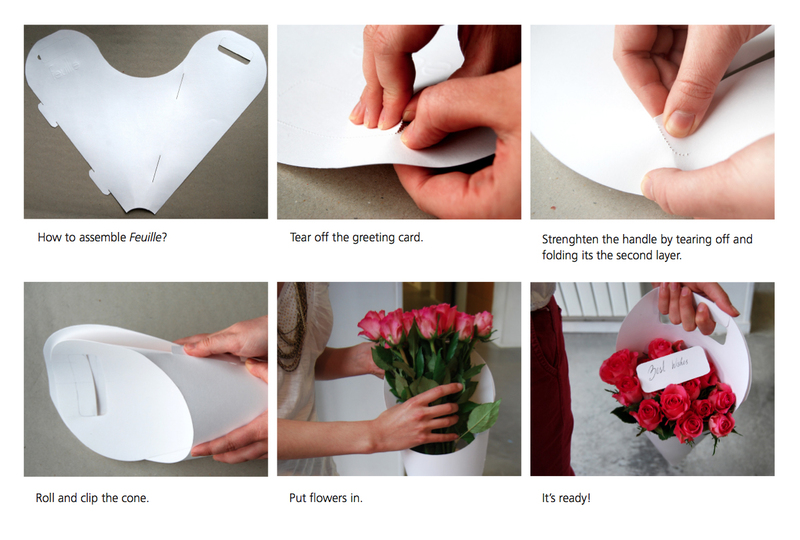 leave, sheet] is a flower carrier made to transport them easily. 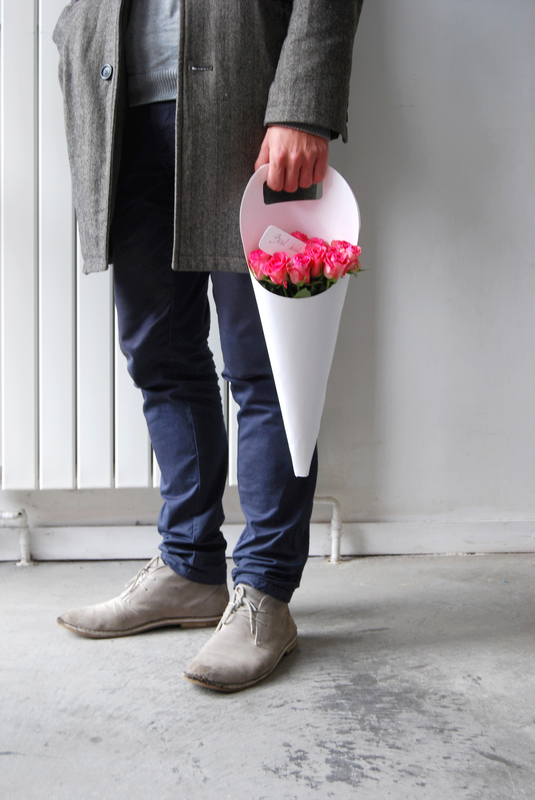 It’s a cone rolled from thick paper with a handle which makes carrying flowers much more pleasant. 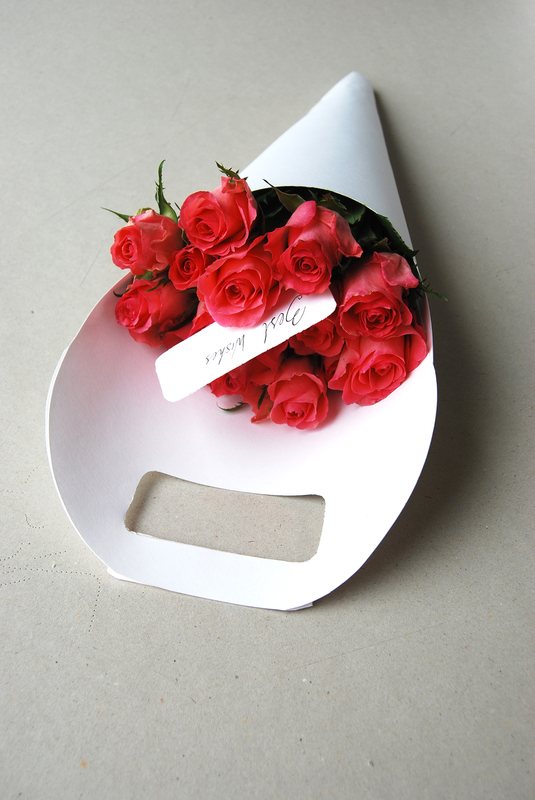 Flowers are well protected and thanks to the simplicity and whiteness of the packaging, also well presented. Packaging includes a greetings card, which you tear off in order to create a handle. 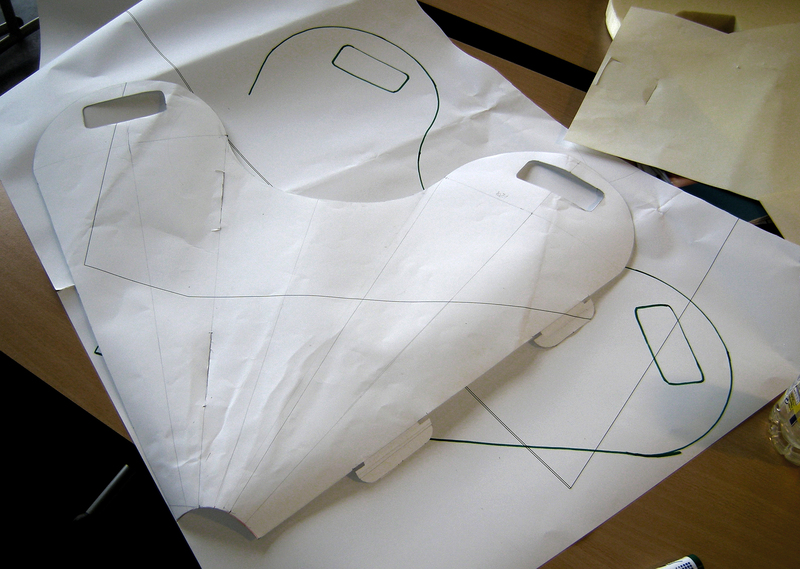 Project in cooperations with Rebecca Moyes, made during packaging workshop with Paul Vickers.